Geotechnical Report: Buckland Airport Material Sources, ADOTPF, May 1994. Location: Approximately 5 mi W of Buckland. GPS Coordinates: N65° 57′ 44″, W161°16’17”. Material: Includes Granite/quartz monzonite, porphyritic; K-feldspar phenocrysts up to 3 cm in length. The weathered rock is recovered and screened for use as gravel. Competent rock is available for use as rip rap. 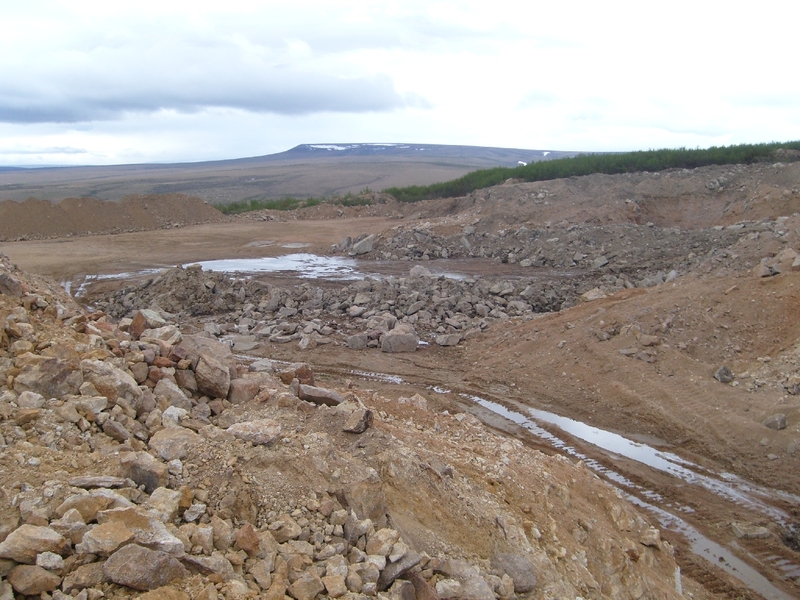 Kanik Creek Quarry is currently under reclamation for interim closure. An estimated 50,000 to 100,000 cubic yards of material is available to a qualified entity that can prepare and implement the permits and plans to operate the pit. Any applications that exceed the estimated volume of material that is currently available will require drilling and blasting at the Buyer, Operator or User’s expense. In addition to the Kanik Creek Quarry, the City of Buckland previously had a permit from the State of Alaska to mine gravel from the Buckland River. The Buckland River is a State of Alaska Master Material Site (MMS) No. ADL 419712; material is located approximately 2-miles upriver from Buckland. Contact the City of Buckland or the Alaska Department of Natural Resources for information on river gravel.